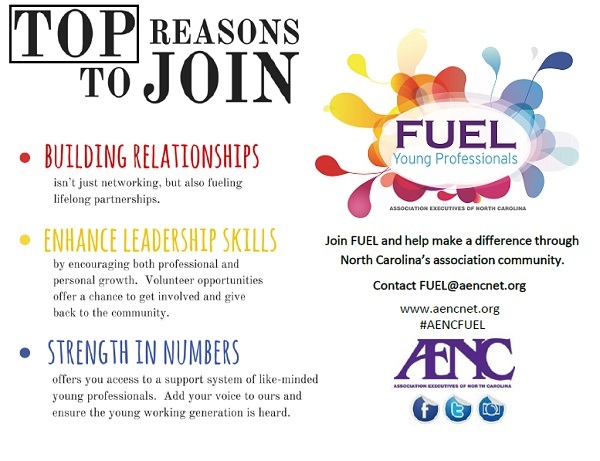 The mission of the AENC Young Professionals – FUEL Group is to serve the greater AENC mission to advance the field of Association Management by providing networking and professional development, while increasing the recognition of the Association community. 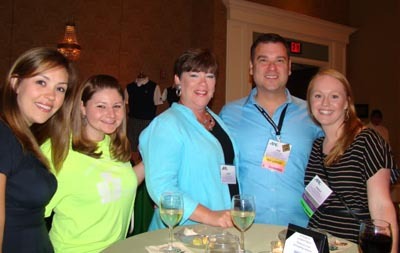 To create a distinctive setting for tomorrow’s association leaders to interact professionally and socially with today’s leaders. 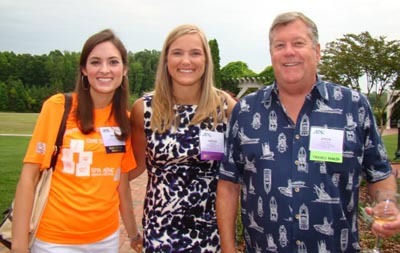 To provide professional and educational events by engaging existing plus new young members to form and nurture valuable connections early in their careers. 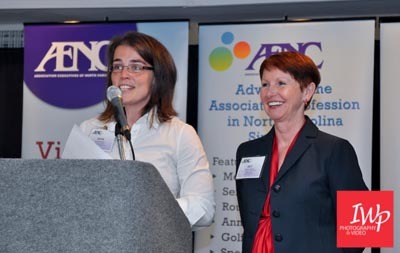 To avoid a leadership gap by developing strong leadership skills in the young professionals involved in AENC and creating a pipeline of future association leaders.